We are rare among Superyacht Management companies. We are born out of the industry, capitalising on its strengths, improving upon its weaknesses. The result is an altogether more innovative yacht management company, with the expertise to offer a vast range of knowledge on a project-by-project basis. The contributions from the team at Superyacht Management were excellent and as such I would highly recommend Superyacht Management to any yacht owner. A Testament of Excellence - the SYM Superyacht Management Concierge Service. Matt Jefferson – Captain on 46-metre San Lorenzo build, M/Y Lammouche. We couldn’t ask for a better Mediterranean experience, all thanks to SYM and their first-rate staff. Dealing with the SYM team, you know they have the client's best interest at heart, which above all gives you more time to relax knowing that they have you and the boat covered. SYM’s services mean that we can fully enjoy our yachting experience without having to think about, worry, or take care of anything else. They have time and time again demonstrated flexibility to tailor their services to exactly what we need. SYM have provided us with comprehensive management, assistance and invaluable advice. The best decision one can make with regard to a trouble free yachting experience on all fronts. From sourcing the very best crew to the most tedious of spare parts, all jobs are taken equally serious and always executed in the most professional manner. We ended up with a premier spot and reservations that were impossible to come by. I knew immediately that I could trust the SYM team on any facet of buying and owning a boat...The total package that SYM offers makes owning a boat in the Mediterranean a pleasure. I know my boat is in very good hands and can rest in the knowledge that everything is taken care of for me including crew, maintenance and charter bookings. 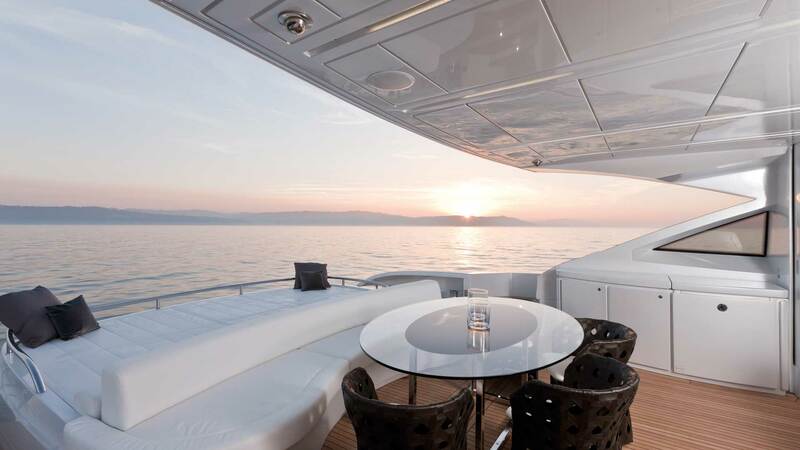 SYM have been an integral part of our yachting enjoyment in the Mediterranean. A great and experienced group that have lived up to their offer – to deliver excellence – whether you are on your boat or not. We wanted for nothing, we were treated like kings and nothing was too much trouble. From St. Tropez to Capri we have enjoyed the best marinas. Because of SYM and their relationships we had excellent service at all of the ports we visited. We have found the help over the years to be invaluable for the smooth running of a very social boat, which although only in use for a few weeks a year, needs constant maintenance.